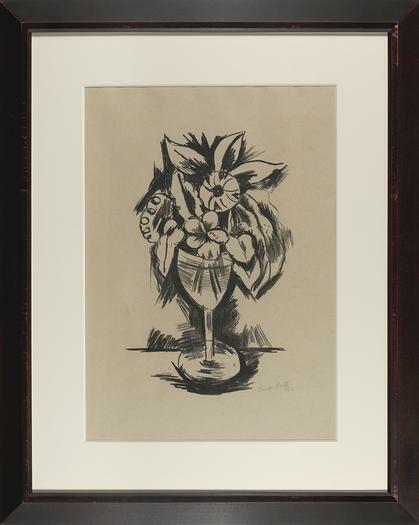 DRISCOLL BABCOCK GALLERIES presents Marsden Hartley: The Berlin Prints, which brings together the only extant complete set of Harley’s 1923 series of fourteen still-life lithographs. Concurrently, Gail Scott’s comprehensive study of Hartley’s prints is being presented online in advance of hard copy publication. Hartley is among America’s most important modernist painters and is one of the few whose lasting reputation extends to Europe. This is only the second time in history that these prints, formerly in a private collection in Texas, have ever been exhibited together. Prolific and restless, Hartley (1877-1943) lived in over twenty-four cities on two continents, exploring his idiosyncratic modernist style through a career of constant technical development and visionary growth. These lithographs witness a critical moment when after World War I Harley returned to his beloved Berlin – where he had experienced some of the happiest days of his life, and created some of his greatest iconic works – to find the world he had left behind was sadly forever gone. The Berlin prints manifest his thorough embrace of still-life subjects as part of his concerted effort to resolve the 1914-1918 crisis of conflagration, and its aftermath, that had shattered so much of the world, and his own life. Hartley was an important figure traversing the international modern art movement in New York, Paris and Berlin. A devotee of Paul Cézanne and a friend of Gertrude and Michael Stein, Hartley was a regular at their Paris salon, which included everyone from Henri Matisse and Pablo Picasso to Patrick Henry Bruce and Alfred Maurer. While living in Berlin, he executed his pioneering "German Officer" paintings as World War I began, and soon had to leave for New York. Following the war, Hartley returned to Berlin for a productive two years or rededicating himself to more representational painting and to still-life subjects. 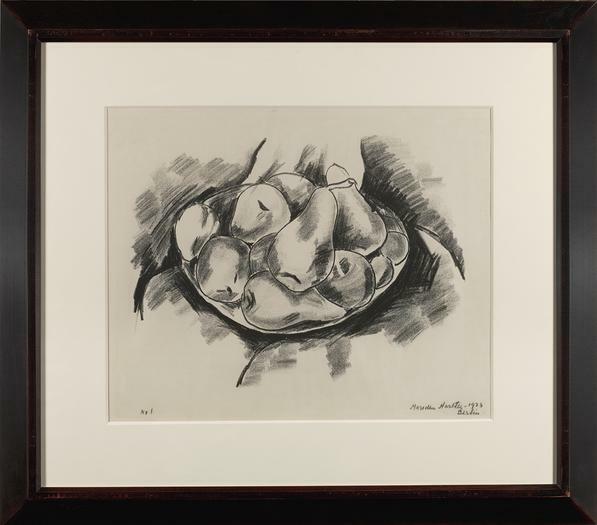 The Berlin lithographs, comprised of arrangements of flowers and fruits, reveal the artist’s concern with modeling and space, as Hartley encountered in Cézanne’s still-lifes, and anticipate the direct dialogue with the French master that Hartley would go on to advance throughout the 1920s. 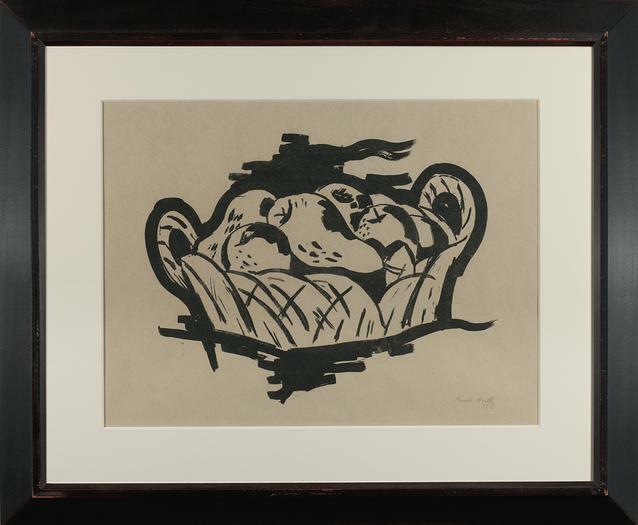 These prints manifest Hartley’s fluid yet firm, and sometimes staccato, draftsmanship, and demonstrate his deep engagement with Modernist ideas and motifs, interpreted through his own clear vision. Driscoll Babcock Galleries has remained the foremost source for and authority on Marsden Hartley for over fifty years. The gallery has staged more than 18 solo Hartley exhibitions and has published several important catalogues and books on the artist. More than 70 museums have acquired important works by Hartley through Driscoll Babcock Galleries, including the National Gallery of Art, Washington, DC and the Smithsonian American Art Museum, Washington, DC.